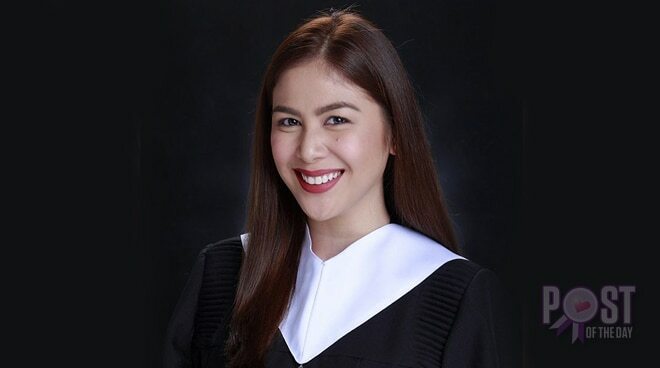 Actress Valerie Concepcion happily shared her graduation photo on Instagram and thanked those who helped her in finishing a degree in Psychology at Arellano University. “I want to thank my loved ones who supported me and pushed/inspired me to finish my studies. I also want to thank my professors, classmates and the eteeap program of #ArellanoUniversity for helping me make my dream of finishing college come true. I am so so so happy to finally have a degree! 😊 ALL GLORY TO GOD!” she wrote. Netizens were happy with the news and congratulated her.